Both Ernst Krenek’s Der Diktator and Kurt Weill’s Der Zar läßt sich photographieren are one-act operas that were originally planned to be coupled with other works by the same composers. Both were also premiered with their original companions less than three months apart in 1928 (their composers were also born the same year, 1900) at a time when Zeitopers, short operas on contemporary themes, were at their height. And with plots similarly built around failed assassination attempts on a tyrant, they seem to have been destined to be paired up. At respectively only 25 and 45 minutes in length, though, they make for a short evening, especially as this new production represented the main theatrical event of the annual Kurt Weill Fest in the composer’s birthplace, Dessau. It was perhaps made to feel all the shorter for the admirable directorial links that were made between the two operas. Krenek’s self-penned story concerns a tragic turn of events when an officer’s wife attempts to take her revenge on a dictator for the blinding of her husband by the tyrant’s war-mongering; the dictator’s jealous wife intervenes when things get steamy between the other two and the officer’s wife is accidentally shot. In the more farcical Weill, a group of anarchists takes over a Parisian photographer’s, posing as its staff, in order to assassinate the tsar using a gun hidden in the camera. 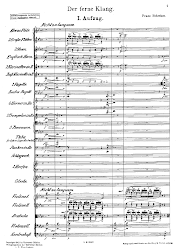 For all its brevity, Krenek’s miniature finds room for an overture, interludes and character establishment, as well as a beginning, a middle and an end. Written as he was waiting for what would prove his greatest success, Jonny spielt auf, to reach the stage, it shares something of that work’s musical wit and craft. Weill’s opera, on the other hand, dates from the same period as Mahagonny and Dreigroschenoper, so at the height of his own powers. The music is actually more cutting than either of those two works, with more New Objectivity hard-edgedness, though it features what would be his first commercial hit, Angele’s Tango, played on a gramophone record at the opera’s climax. Doris Sophia Heinrichsen draws the threads of the two operas together skilfully. A simple set by Nicole Bergmann services tragedy and farce to equally good effect. 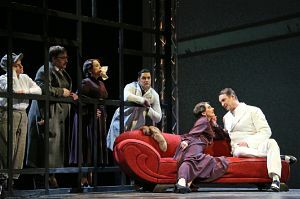 Musically, the performance was very fine indeed, from the consummate singing of the cast to the vibrant and vital playing of the Anhalt Philharmonic in the pit under Daniel Carlberg’s expert baton. Ulf Paulsen played both the dictator and the tsar, pompously preening himself as the former (Mussolini was supposedly Krenek’s model), embarrassingly revealing himself as all too frail a human as the latter. 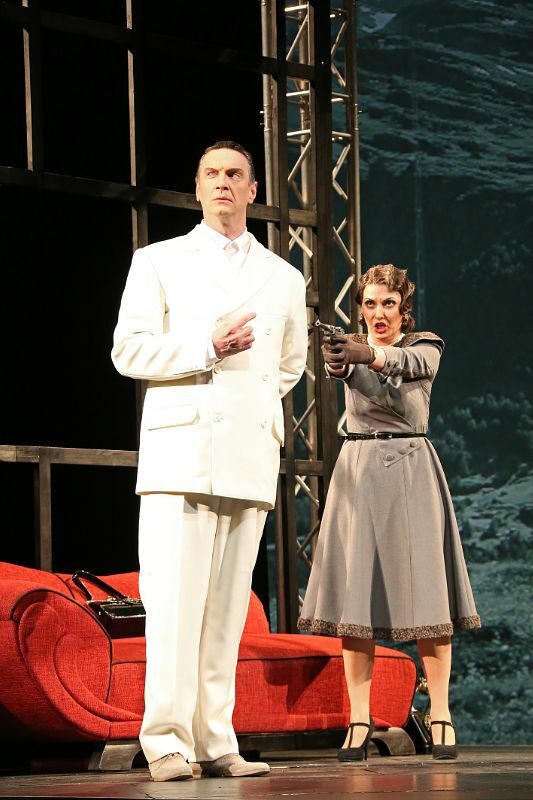 As the love rivals in the Krenek and real and false photographers in the Weill, Iordanka Derilova and Stefanie Kunschke were a match for each other vocally, and the tenor of Albrecht Kludszuweit was particularly impressive as the blinded officer. It’s a shame that only two performances of this double-bill are scheduled – well worth catching if it returns to the repertoire.